There’s plenty to digest from OSU baseball’s media day. 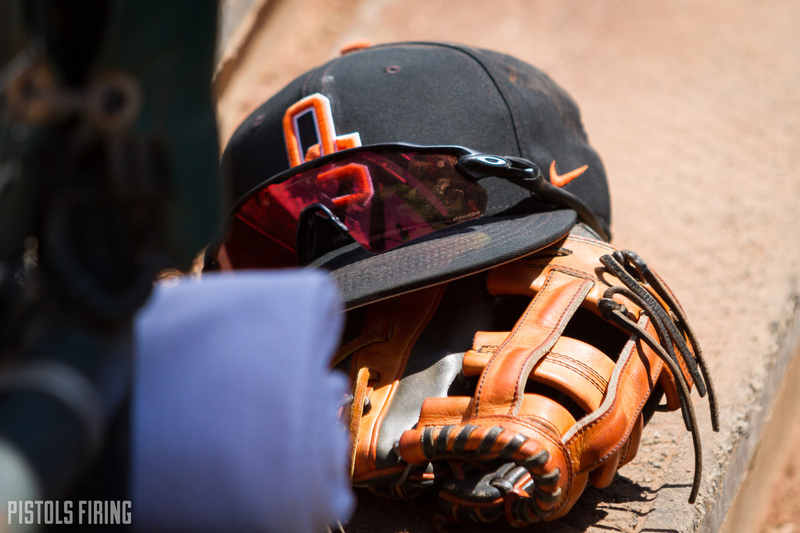 STILLWATER — The Oklahoma State baseball team hosted its media day Monday, with the Cowboys starting their season Feb. 15 with a trip to UT-Rio Grande Valley. Here are some highlights from Monday’s festivities. The last regular season game in Allie P. Reynolds Stadium is May 18. Allie P. opened in 1981, and after 38 years, the Cowboys will head down the block to O’Brate Stadium to play their 2020 season. O’Brate’s construction is coming along nicely at Washington and McElroy. After year by year of a new baseball stadium being a hypothetical, this season there’s physical evidence of one on the way. In recruiting, Holliday said any potential prospect who has been in campus since last March has been out to the construction site to see what their future could entail. For the first time in a long time, it looks as if the Cowboys finally have a healthy group of pitchers. Right-hander Jensen Elliott was a freshman All-American and a starter in the Cowboys’ 2016 College World Series team. The following year, Elliott made only four starts before season-ending Tommy John surgery. That recovery process also saw him miss the most of his junior season, as he appeared only four times last season, all in relief. Elliott went to the Cape Cod Baseball League this summer, where he and Holliday said he was offered free agent deals with MLB teams, but it was important for Elliott to finish his OSU career. Elliott said he has no limitations mentally or physically heading into his senior season. The Cowboys also have Mitchell Stone back off a freak injury last season. Two starts into the year, Stone stepped in a sprinkler hole on a practice field during the Cowboys’ Arizona State trip, where he broke his foot. Stone received a medical redshirt, so he’ll enter this year as a redshirt freshman. Holliday said lefty Parker Scott is also healthy for the first time in a while after missing all of last season. Logan Gragg joins the Cowboys as a junior after spending a few seasons at Connors State. Gragg came back from Tommy Johns as a sophomore at Connors State and finished 6-0 last season. He is a right-hander listed at 6-foot-5. Holliday said his fastball is in the low to mid 90s, and he has a good changeup and developing slider. Gragg will join the already existing arms, which include Joe Lienhard who is used as a bit of a utility pitcher, slotting in, in a handful of scenarios. In the past two seasons, Colin Simpson has started 72 games at catcher, including 43 games last season. It’s a position that can be tough on the body, and it looks like Simpson, a key returner, will get some relief in that aspect this season, freeing him up to play some in left field and at designated hitter. Bryce Carter enters the fold as a senior. Originally from Cascia Hall High School in Tulsa, Carter originally chose Stanford over OSU. He started 20 games behind the plate last season for the Cardinal, where Stanford won the Pac-12. Carter joins sophomore Jake Taylor and freshman Josh Spiegel as possibilities for Holliday behind the plate. Taylor, from Shawnee, started 14 games at catcher as a freshman. Spiegel, from Jeannette, Pennsylvania, is good, young option, but for the time being, Holliday said Spiegel is dealing with mono and that he has lost about 25 pounds.